Believe it or not – fun, historical facts about Grandview Lake. “Does this peak your interest…Do you want to know more about the history of our lake? Is curiosity getting the best of you…still want to know more? 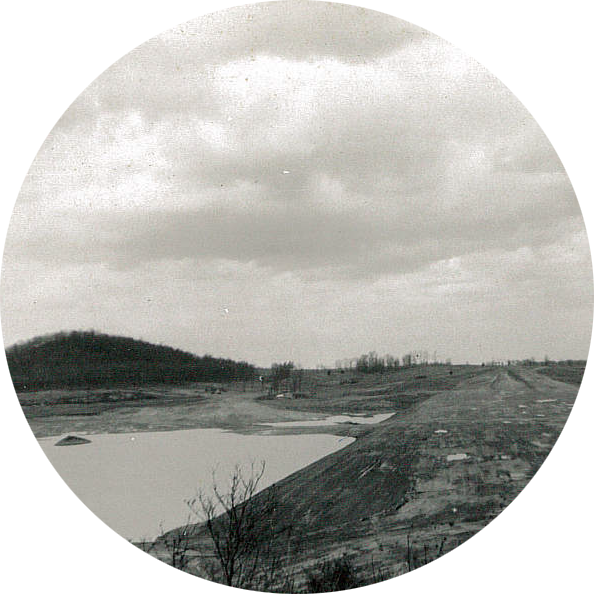 Click on the history book icon and read the History of Grandview Lake – 1953-2014. Grandview Lake was planned by Q. G. Noblitt who bought a beautiful valley and surrounding acreage in western Bartholomew County. Q. G. envisioned a lake site and convinced Phillip Long and Denzel Truex to form a development company. The Grandview Development Company was formed on July 14, 1953 and signed a land contract mortgage on about 2500 acres owned by Mr. Noblitt. James O. Freese, a Franklin civil engineer, designed the dam, and was the first secretary of the development company. A terrible rainstorm deluged the area. That night only the close cooperation and determination of the lot owners and builders protected the uncompleted dam. Slow lot sales, partially due to the incomplete dam, pushed the Grandview Development Company into bankruptcy. On July 2, 1963, Lawrence A. Quick, Jr., Dr. Edwin Libbert and William G. Chambers, shareholders operating under the name of Grandview Lake, Inc, purchased the property at a sheriff’s sale. They had borrowed money from College Life Insurance Company and immediately transferred ownership of the property back to College Life. College Life marketed the unsold lots, starting with the Third Addition in August 1965 through Grandview Estates. They created new additions to the Town of Grandview as needed. A new launching ramp was installed in 1967. A group of lot owners concerned about maintaining the purity of the lake, contracted the design of a unique pressure sewer system. A grant was provided by the Farm Home Administration (FMHA) to demonstrate its feasibility. The system operated as a research project for three years and became the first and finest such system in the country. College Life abandoned plans for a connecting lake west of the current lake and focused on the completion of the Grandview project. 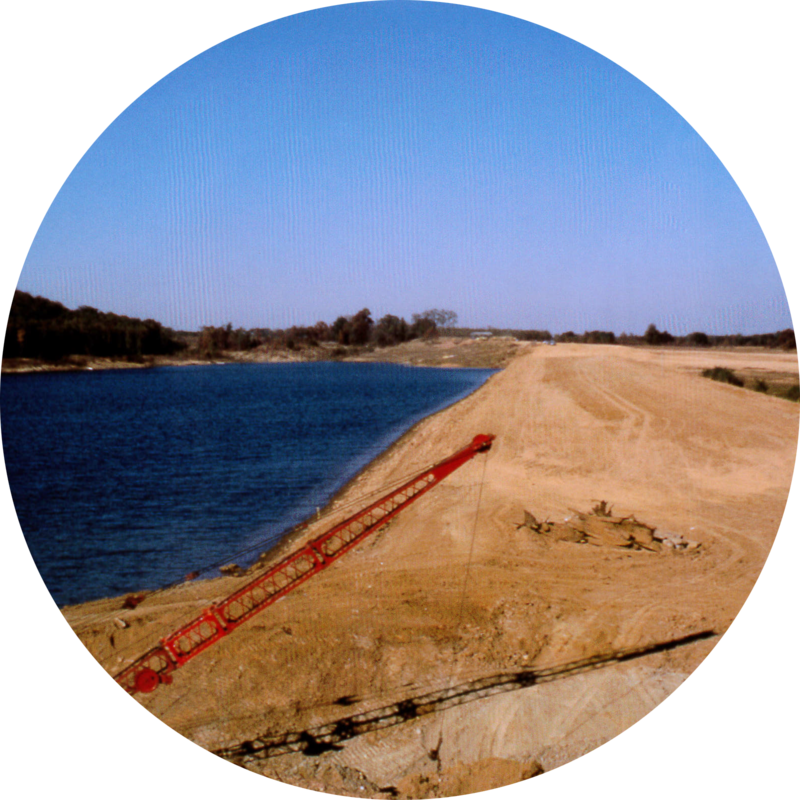 Grandview Lake Inc. retained ownership of the dam to permit needed construction and maintenance. Robert Nussmeier, Charles Shepard and Lawrence Quick, who were later shareholders, sold the dam for $1.00 to the Grandview Lot Owners Association. Installed inclinometers to measure performance of the dam. 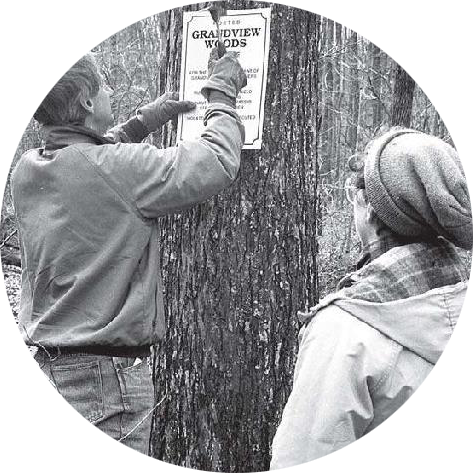 Morin Timber Company purchased 1100 acres surrounding the Lake’s ring road with the intention of logging it and then developing residential lots. The community supported the GLOA Board’s successful efforts to purchase 643 of those acres, which largely form the Lake’s watershed. Today that land, up to the ridge and fifty feet beyond or deeper in some cases, constitutes the Grandview Woods Preserve. Rules were established to keep it in a natural state with low impact recreational use such as the seven mile hiking trail that circles the Lake. Installed piezometers to measure water level at the bottom of the dam. The GLOA office was built between the launching ramp and the dam. A self serve gas pump was installed. 25,000 gallons of gas were sold the first year and usage increases each year. The new Class I activated sludge waste water treatment plant, which cost over $1,400,000.00 was built. Lot owners were assessed a total of $4,500 per lot during 2011 and 2012 to pay for the improved system. This new plant is designed to handle 45,000 gallons of sewage per day. The History of Grandview Lake – 1953-2014 was published and distributed to all lot owners. View the book here.